Well under the radar of perhaps nine-tenths of the American people was a report published this week claiming that China has conducted a test of a missile designed to destroy orbiting satellites. As reported by the Washington Free Beacon, the test involved a specially designed missile, designated Dong Neng-3, which was tracked by American intelligence agencies after it was launched July 23 from China’s Jiuquan Satellite Launch Center in Inner Mongolia, which is located in northwestern China. Without question, the successful test emphasized Beijing’s growing space warfare capabilities. While the test was not successful — U.S. officials said the Dong Neng-3 missile appeared to have malfunctioned during its ascent — it proves that Beijing is working to develop an asymmetrical warfare capability that it could utilize in any future conflict with the United States. Despite the failure, China’s space warfare program is said to be advancing rapidly as an asymmetric warfare weapon that will allow a less capable Chinese military to defeat the U.S. military in a future conflict. The Pentagon’s annual report on the Chinese military states that in December the Chinese created a new Strategic Support Force that will unify space, cyber, and electronic warfare capabilities. “The PLA continues to strengthen its military space capabilities despite its public stance against the militarization of space, ” the report said. Air Force Gen. John E. Hyten, who is head of the U.S. Strategic Command and is also an expert in space warfare added that China and Russia are attempting to develop war fighting capabilities in space. “China right now is ahead of Russia because they’ve been on a consistent path for a longer time,” he said. 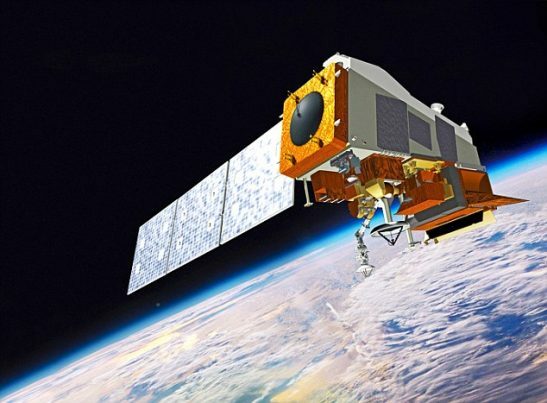 While the U.S. has a “very robust space capability” and “the threats we face are actually very small” at present, American strategic advantages in space are being eroded by peer competitor nations, and satellites especially are becoming more vulnerable to attack. Obviously this new Chinese capability — and, to a lesser extent Russia’s anti-satellite development — is extremely alarming, or it should be to anyone who understands that our modern society is satellite-driven. So what can you do to mitigate the possibility? You’ll need to develop alternative means of communicating and getting from Point A to Point B. As for communications, you can go through the hassle of getting a Ham radio and getting licensed at the various levels, which may be worth it considering that lots of people around the world use Amateur/Ham radio. But a more practical solution, even if they are nowhere near as capable of the distance you get operating Hams, are CB radios. They are cheap, and they are readily available. While you may not be able to communicate with a LOT of people, you will at least be able to communicate among your group(s). As for getting around, the best solution is a good old-fashioned paper map. You can get topographic and citywide maps from local county government; you can buy road maps at AAA Auto shops or many quick-stop shops. Get maps of your area and beyond — and purchase a compass, then learn how to use it, so you can figure out which direction to go. Make your travel-and-communication backup plan technology-proof.